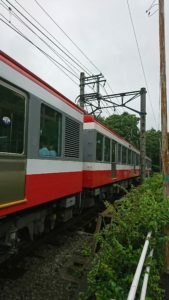 Hakone Tozan Railways, a unique vehicle in Hakone | Why don't you go on a trip to Japan? I visited Hakone 2 weeks ago. 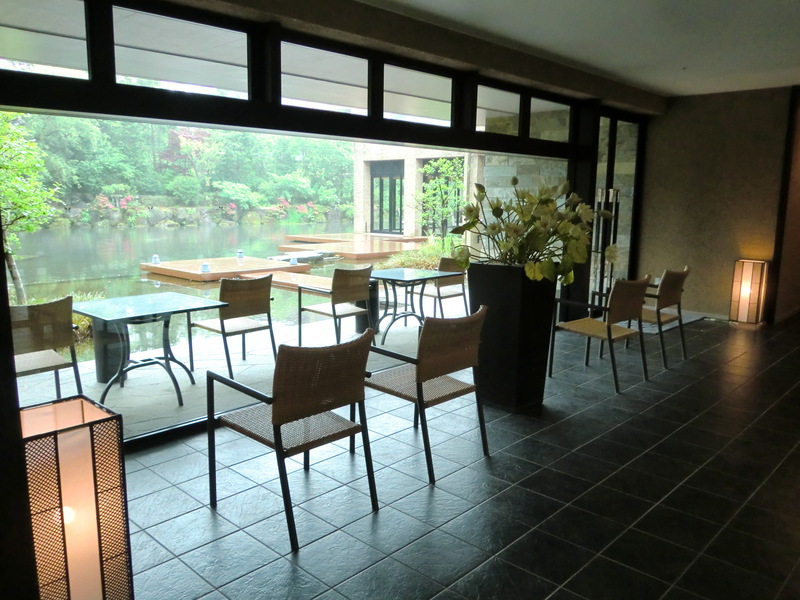 In this time, I stayed a hotel in Hakone because I am a shareholder for a company and the company offers discounts for Hotel Stay as a preferential treatment to their stock holders. 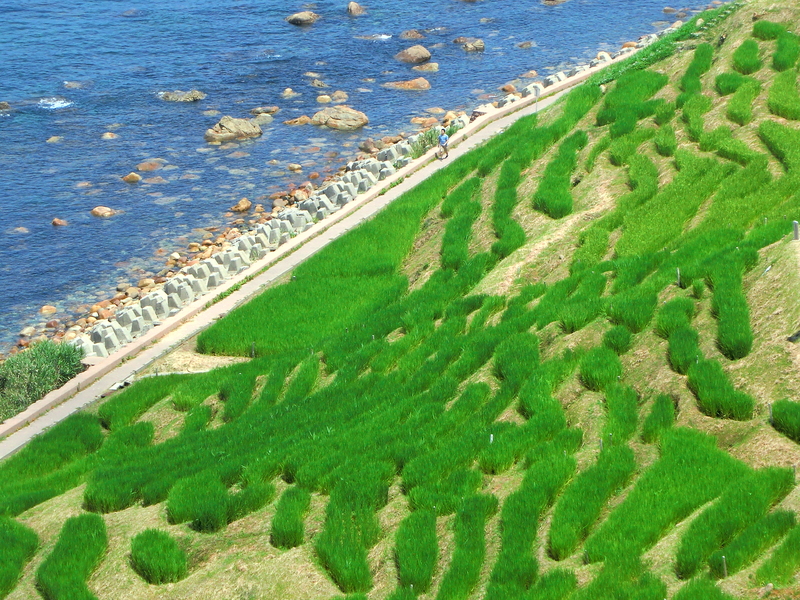 Tokyu Harvest Club has several hotels in Japan, you can choose among them and stay the hotel with special price. I have decided to stay because the special discounts have a limit and an expiration date. 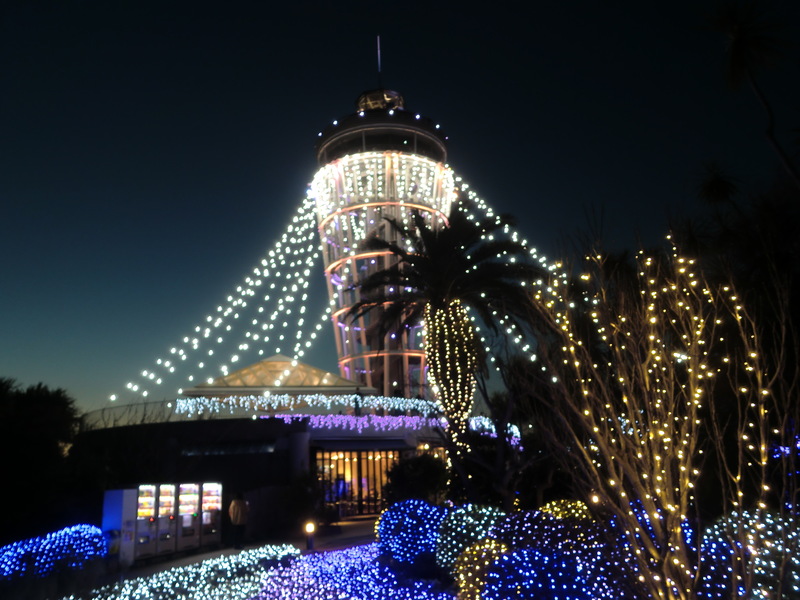 As for the hotel, I will write on another blog. But in this time I am reporting about the Hakone Tozan train, one of the transportation facilities in Hakone. The Hakone Tozan Railway is a train company running from Odawara via Hakone Yumoto to Gora. 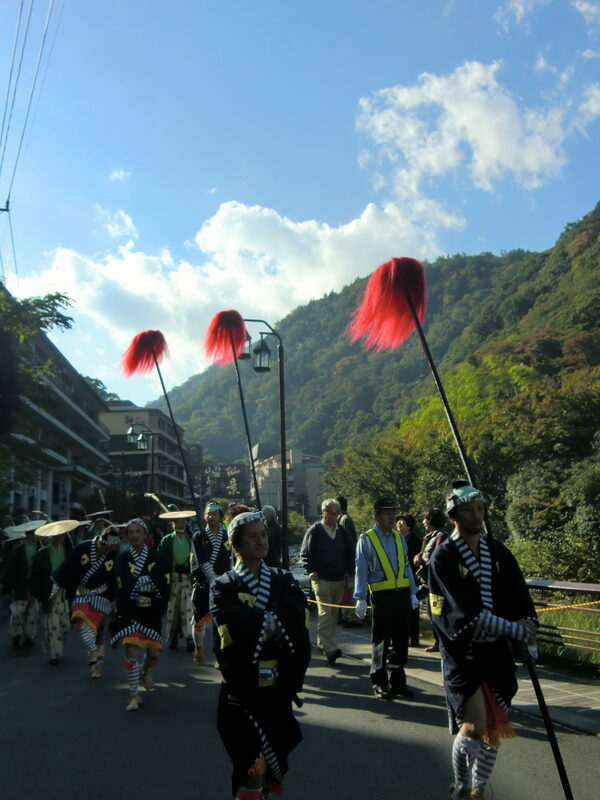 People going to Hakone basically uses that transportation other than using highway bus or car from Tokyo direction. 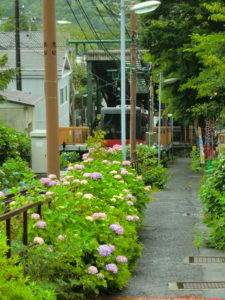 As Hakone Tozan Railway literally means Hakone Climbing Train, so the train goes up among high mountains. The vehicles used between Odawara and Hakone Yumoto Station are regular cars by the Odakyu Line in the group company and the special cars with powerful engine are used from Hakone Yumoto. 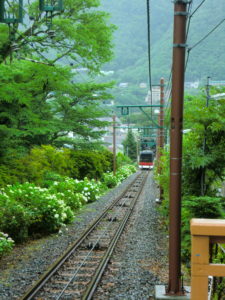 The train runs in mountains up to 80% gradient and a sharp curve along the terrain the section between Hakone Yumoto and Gora. I realized that I am climbing the mountains. Taken switch back system, the train goes up and stop, then change the direction. It is repeated for several times, and the train arrives at Gora terminal. Since the altitude of Gora station is 541 m and that of Odawara station is 14 m, which means that the train goes up over 500 m.
I could watch the flowers at that time. We can watch hydrangea flowers during the rainy season in Japan. It is a period of rainy and cloudy days, high humidity. However, since Hakone is located on highland, I feel cooler than other areas in Kanto. The Hakone Tozan railways has a sister partnership with Switzerland’s Rhettish Railway. The body of both train use similar color. At Gora terminal, Hakone Tozan train, the cable car is operated to Sounzan Station. 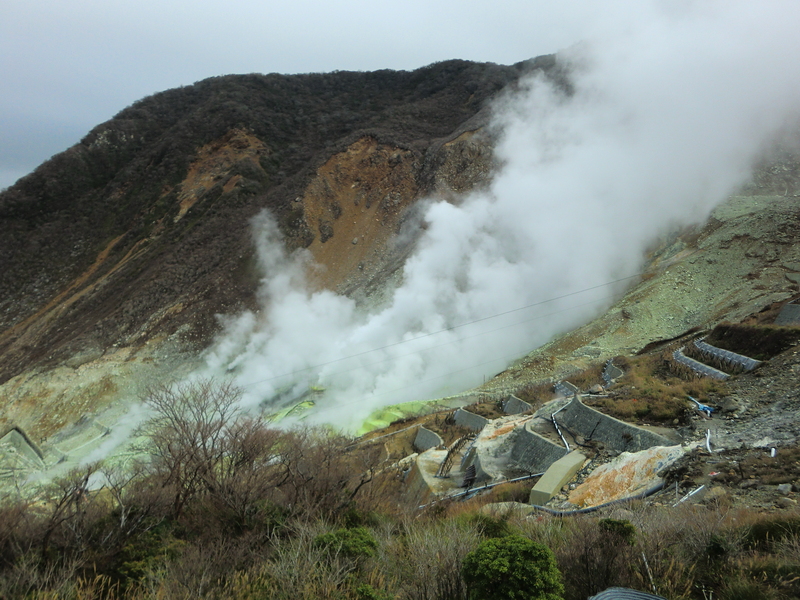 Also you can connect to the ropeway and go to Owakudani where volcanic crater is located and in the direction of Lake Ashinoko. The cable car consists of about 1.2 km, 6 stations, and the height difference is about 214 m. There are many resort hotels dotted in this section. Sightseeing day pass ticket including these vehicles, bus and sightseeing boat are available. 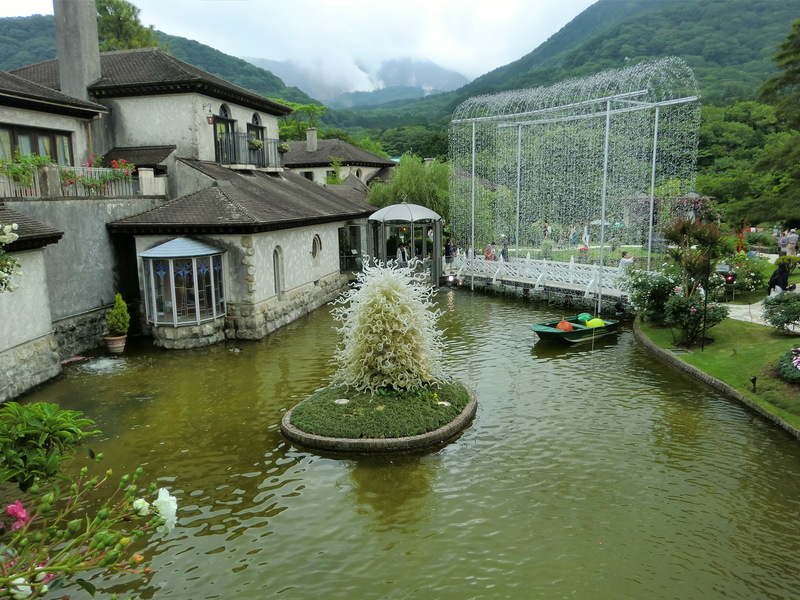 This pass also includes discounts on museums and tourist facilities in Hakone area. It would be better to decide the purchase according to the place you want to go.